Ushitora Yabai Double IPA is an 8.5% imperial / double IPA from Ushitora Brewery, based in Tochigi, Japan. It’s part of the numbered line up, with this one being #273 or some other crazy iteration. Like the rest of the range of their beers, Ushitora Yabai Double IPA doesn’t have much information about it in terms of the hops or malts that went into it. The only bit of hoppy information we managed to find out was that Ushitora Yabai Double IPA has an IBU of 100. 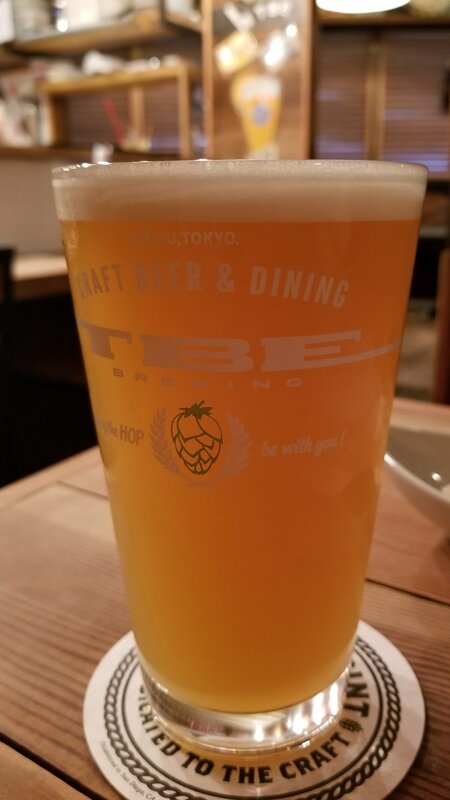 I had this Ushitora Yabai Double IPA at TBE Brewing in Ebisu, Tokyo and it came up a slightly hazy golden straw colour with a plump white head. There was a lot of hop aroma coming off of it, with grapefruit, lemon, some mango, and a bit of pineapple too. However, there was very little malt aroma coming off the beer – surprising for a beer of this strength but the hops were doing their job as part of the name. The body was immediately bitter and also packed a hoppy punch. The citrus flavours brought some respite from the bitterness, though the tart lemon and grapefruit did make an interesting suckerpunch of a combo. Even when Ushitora Yabai Double IPA had warmed up, there was still a distinct lack of malt flavour to the body, besides a faint hint of biscuitiness. Ushitora Yabai Double IPA, unsurprisingly, left a lingering bitterness on the tongue. Ushitora Yabai Double IPA doesn’t really deviate much from the Ushitora IPA basics it seems – it’s not bad and does what it’s supposed to do.